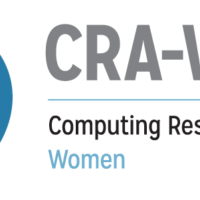 PHICWIC (2018 ACM Philadelphia Region Celebration of Women in Computing Conference) brings together women at the high school, undergraduate, graduate, and professional levels to promote the recruitment, retention, and progression of women in computing fields. Susan B. Davidson received the B.A. degree in Mathematics from CornellUniversity in 1978, and the M.A. and Ph.D. degrees in Electrical Engineering and Computer Science from Princeton University in 1980 and 1982. Dr. Davidson is the Weiss Professor of Computer and Information Science (CIS) at the University of Pennsylvania, where she has been since 1982, and currently serves as Chair of the board of the Computing Research Association. Dr. Davidson’s research interests include database and web-based systems, scientific data management, provenance, crowdsourcing, and data citation. Dr. Davidson was the founding co-director of the Penn Center for Bioinformatics from 1997-2003, and the founding co-director of the Greater Philadelphia Bioinformatics Alliance. She served as Deputy Dean of the School of Engineering and Applied Science from 2005-2007 and Chair of CIS from 2008-2013. She is an ACM Fellow, Corresponding Fellow of the Royal Society of Edinburgh, and received a Fulbright Scholarship and Hitachi Chair in 2004. Her awards include the 2017 IEEE TCDE Impact Award for expanding the reach of data engineering within scientific disciplines, and the 2015 Trustees’ Council of Penn Women/Provost Award for her work on advancing women in engineering. Ellen Voorhees is a Computer Scientist at the National Institute of Standards and Technology (NIST). 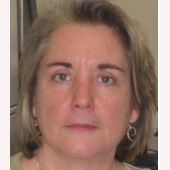 Her primary responsibility at NIST is to manage the Text REtrieval Conference (TREC) project [http://trec.nist.gov], a series of international workshops that defines methodology and builds infrastructure to enable large-scale evaluation of search technology for different tasks and across different media. TREC has featured tracks in areas such as web search, question answering, search within free-text fields of medical records, e-discovery, and expert-finding. Voorhees’ research focuses on developing and validating appropriate evaluation schemes to measure system effectiveness for these kinds of tasks. She received a B.Sc. in computer science from the Pennsylvania State University, and M.Sc. and Ph.D. degrees in computer science from Cornell University. Prior to joining NIST she was a Senior Member of Technical Staff at Siemens Corporate Research in Princeton, NJ where her work on intelligent agents applied to information access resulted in three patents. 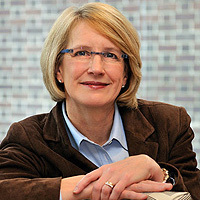 Voorhees is a Distinguished Scientist of the ACM where she is an active participant in its SIGIR (information retrieval) and SIGBio (bioinformatics, computational biology, and biomedical informatics) special interest groups. She was the general chair of the SIGIR 1997 conference and is on the editorial board of ACM TOIS (Transactions on Information Systems). She is also a member of the Association for the Advancement of Artificial Intelligence (AAAI). She has published numerous articles on information retrieval techniques and evaluation methodologies and is a frequent reviewer for conferences, journals, and funding proposals in the ares of information retrieval and natural language processing. Be inspired. Meet technical women like you and celebrate your accomplishments together. Hear success stories of technical women who made it this far! Share your work and ideas with your peers and experts during the poster session, flash talk, or technical short. Meet recruiters from business, industry, and academia for internships, jobs, or graduate programs. Broaden your skills by attending a workshop. Find a new job or internship. Bring your resume to our career fair to apply for job and internship opportunities. Practice public speaking by presenting a poster or flash talk. Win a prize by competing in the Poster Competition.